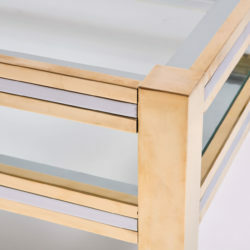 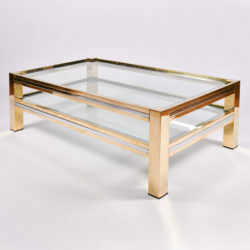 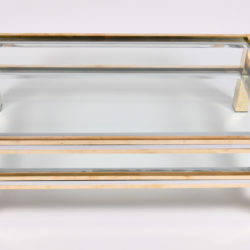 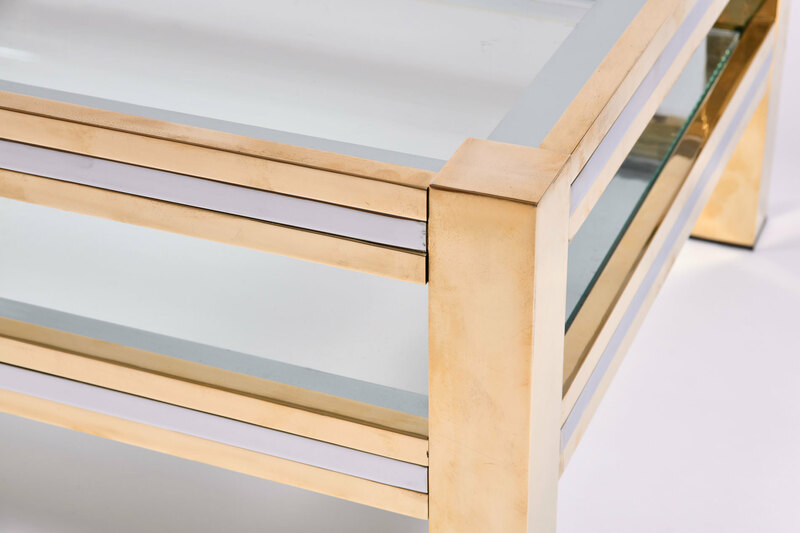 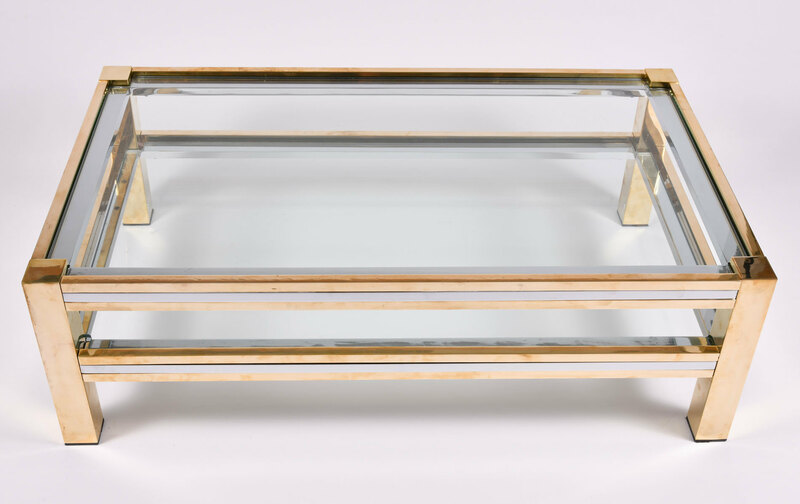 Two-tier chrome and brass rectangular coffee table with two thick clear glass shelves inset into all sides. 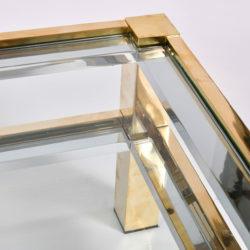 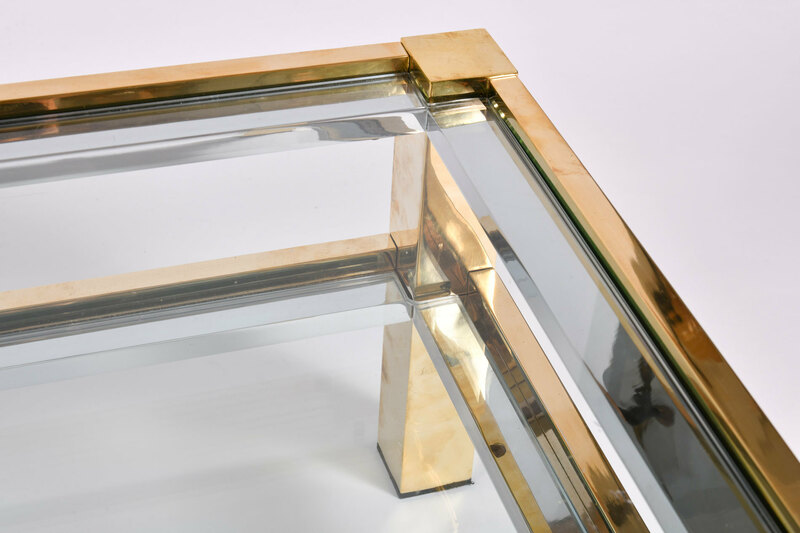 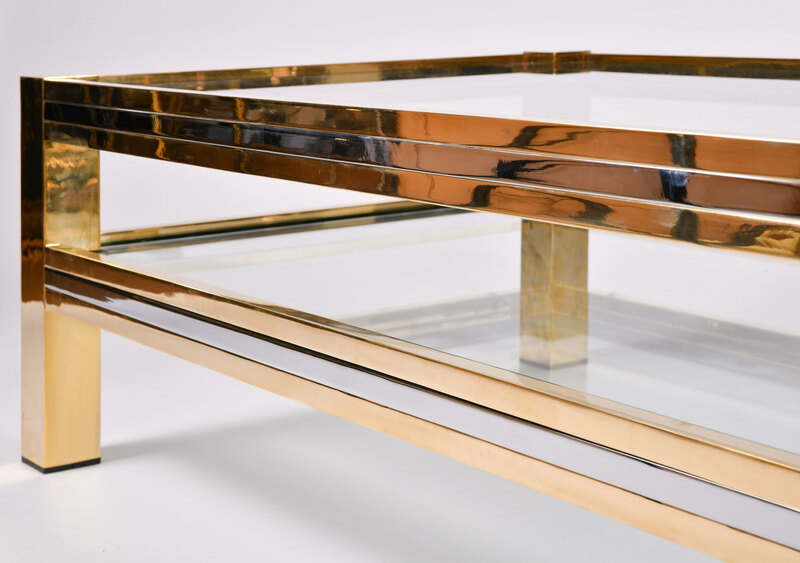 Frame comprises of three layers of metal stripes, two brass, one chrome. 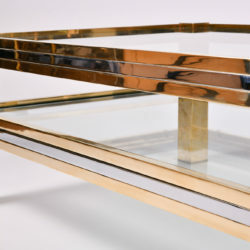 Supported on solid brass legs.